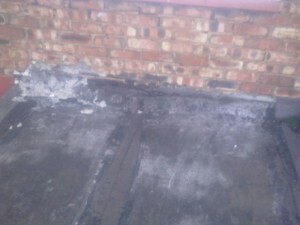 Do you have problems with your flat roof? Preventing water from seeping through old and worn felt roofs is the biggest flat roof problem due to the degradation of the felt and it becoming brittle through weathering. This creates openings for a flat roof leak and potentially lead to serious interior damage as plaster and wallpaper succomb to the damp. This can be costly, but by getting in the experts quickly you can avoid quite a lot of unnecessary delay. 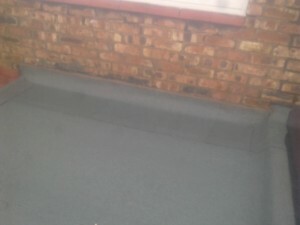 This is where David Johnson comes into his own as he has years of experience in the art of getting felted flat roofs water tight again and giving them a new lease of life. There are plenty of sealants out there that some companies use, but in real terms they just delay even further problems. D J Property repairs can come round and give you alternatives and costings free of charge, just contact us to arrange yours. After D J Property Repairs repair the roof it is good for a long time to come.